TalentCircles: A Platform for Talent Connection Solutions: Why is Employee Engagement Tied to Your Employment Brand? Why is Employee Engagement Tied to Your Employment Brand? Every company wants a strong employment brand. It can be the difference between the best candidates desiring to be a part of your organization and those same candidates passing right by you without a second glance. After all, there are plenty of companies that are knocking it out of the park when it comes to their employment brand. In order to be competitive, you’ve got to have a fresh, transparent employment brand to set your company apart, but how exactly do you get there? A common answer would be to have a social presence, relevant branding and expressive job and company descriptions, but the real key to an employment brand that’s going to attract candidates lies with your current workforce. In our day and age, people can go online and find out significantly more about your company than you’ve chosen to make public and much more than you’d probably like for them to see. You can thank your brand ambassadors, or your current employees, for that. But it’s the reality of employment brands today. To candidates, potential employers are the sum total of their online identity. Companies do not own their employment brand but they do have the opportunity to help shape it while still remaining authentic. Employment branding is less about choosing what your image will be and more about the strategy and actions behind influencing internal and external perceptions. It is not a single decision but rather a long-term strategy that can be tied to applicant quality and employee retention. 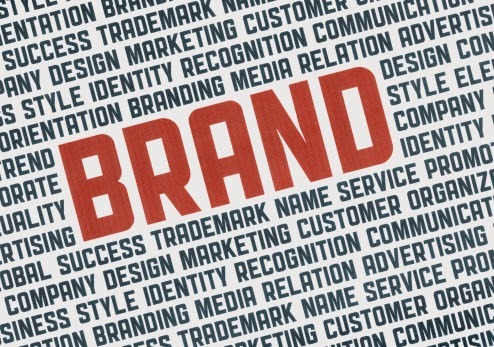 Your employment brand isn’t established online. It’s established in the day-to-day interactions between co-workers, the amount of value employees believe your company places on them, the motivation techniques of managers and the things your CEO values. This is where employees develop an image of the company they work for, and that image is reflected to the world. If you want your employees to be positive brand ambassadors and share with the world how great the organization is, they have to feel it and believe it. Employees who are not engaged may do their job, but they will not recommend the company to their friends and family or defend you in a debate. Engaged employees will go great lengths to boost your employment brand, but it all starts inside your organization’s four walls. You will never be able to control your employment brand and remain transparent, but you can encourage your brand ambassadors and establish where the majority of conversations are taking place. By guiding where your employment brand is built, you’ll actually have a stronger brand. In order to do this, your HR and recruiting teams can develop messaging that will be seen by employees, candidates and customers about why your company is a great place to work. Secondly, you can direct employees and candidates to a central location, such as your company’s Talent Circles platform, to have these conversations, ask questions, share stories and network. Depending on what platform, technology or network you use, you could potentially decide how parties gain access, who sees what and the format of conversations. While there is no way to own your employment brand, you can greatly influence it and maintain authenticity. But no matter how much you control or shape an employment brand, remember that your employment brand is formed from within your workforce. Organizations lots of shows of incredible classics everywhere Los angeles plus chanel outlet us states, like alternative locations everywhere when all those gentlemen while in the folios with track record who seem to obtained a pious possibility for executed a Cartier get these folks backside if anyone is so that you can adore. The following will show you the fact that resilience with Cartier is definitely time frame subjected to testing plus permitted! The modern world omega replica sale celebrated jeweler Cartier is definitely most well-known due to its rings watching layouts considering 175 issue. While in the 1980s, Cartier when interested in ways to give purchasers which includes a extra in depth design program to suit its style and design around rings watching, Cartier chosen to extend it has the business enterprise on the scented field. Together with the 1st understanding of having a exceptional perfume that should unquestionably pick its hublot replica sale jewelries plus different watches, Cartier embarks on the extensive plus monsterous process while in the scented field. You start with the earliest scented, a Santos de Cartier, a Cartier Aroma obtained made your track record to get developing one of the exquisite odors that happen to be convenient plus high quality. Model of your colognes out of Cartier Fragrances will be Will have to de Cartier aroma, Eau de Cartier aroma as well as yummy Delices de Cartier aroma.